Staged in Luxembourg, play commences on Friday 2nd February and concludes on Sunday 4th February. Meanwhile, the name at the top of the boys’ listing is that of Kanak Jha of the United States, he won in Argentina and Croatia. Notably Maki Shiomi finished in top spot on the Girls’ Standings (5,200 points), for Kanak Jha on the counterpart Boys’ Standings, it was fourth position (2,950 points); seeding is based on world ranking at the end of the 2017, not as with the ITTF World Grand Finals in the position at the end of year Standings. Next in line to Maki Shiomi is colleague Miyu Nagasaki, followed by Romania’s Adina Diaconu and Chinese Taipei’s Su Pei-Ling; on the boys’ list Cristian Pletea, like Adina Diaconu from Romania, is the second seed with compatriot, Rares Sipos being the fourth seed. Sandwiched in between is India’s Manav Vikask Thakkar, the player who ended the year on the top of the Standings (4,655 points), having won on home soil and in Slovenia. However, the name to note is that Chinese Taipei’s Feng Yi-Hsin, he is the fifth highest listed in the boys’ event, finishing the year in seventh place on the Standings (2,706 points); his best of 2017 being when beaten in the Croatian final by Kanak Jha. 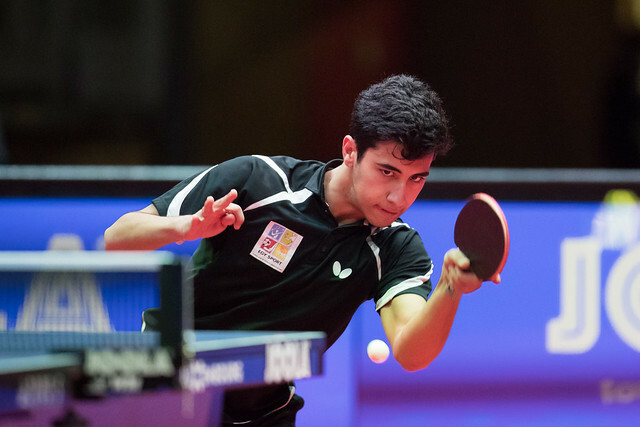 Nothing remarkable but he does gain a place in the history books; he is the first player to qualify for the ITTF World Junior Circuit Finals who was not born when the first edition of the event was staged. Feng Yi-Hsin was born on Wednesday 1st January 2003; just over two weeks after the inaugural finals, staged in Stockholm, from Thursday 12th to Sunday 15th December 2002, were held. Now as the 16th edition of the event beckons, the basic principle remains the same but with slight adjustments. In the inaugural competition there were eight players in each event; two groups, first and second advancing to the semi-finals. In Luxembourg, proceedings will be conducted over three days not as in Stockholm four days; a total of 16 players will compete in each event, first and second advancing to the quarter-finals, third and fourth to the minor positions. Also in the Grand Duchy every continent is represented, it was not so in the Swedish capital city whilst nowadays all matches are best of seven games, not as in first event. On that occasion, it was best of five in the group phase and best of seven in the main draw when China’s Qiu Yike and Chang Chenchen emerged the respective boys’ and girls’ champions.